Note This list includes only the stocks / reits with target price / fair value estimation changes as highlighted in the analyst reports published within past 1 month. Refer to Analysts Say > Stocks / REITs Research Report for complete list of most recent reports. Definition Definitions and expected returns of each Stock Ratings terms vary for each of the brokerage firms. Definitions of 'Target Price' and 'Fair Value' are different too. Refer to Analyst Recommendation Framework for details. The list is compiled for general information purpose only. While we spend our best effort to keep the data up-to-date, stock rating and target price changes may not be recorded the same day as when they are published. 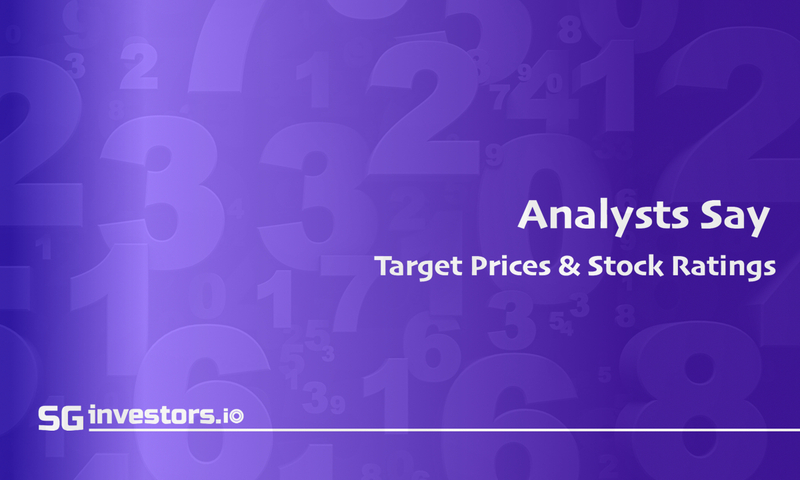 Kindly feedback to us for any discrepancies or outdated data (if the revised rating / target price is not reflected 3 days after it's published).